From luxury shops on El Paseo to Westfield Mall, the city always offers something new to discover. CODA Gallery in Palm Desert. 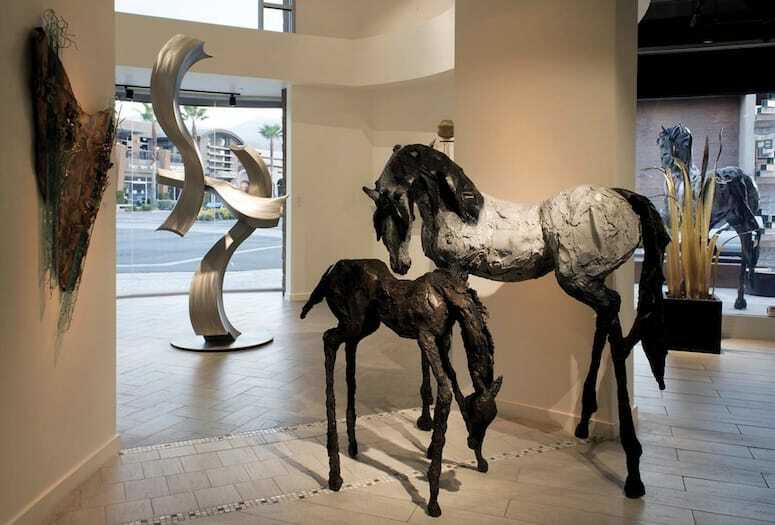 Since Coda Gallery opened in 1987, this El Paseo landmark has kept pace with the ever-changing art world, offering contemporary art collectors a well-curated selection of quality paintings, sculpture, glass, and photography by emerging, midcareer, and established artists. Coda begins its season in November with an exhibition premiering artists that are new to the gallery and opens current exhibitions with artist receptions every first Friday, November through May, in conjunction with El Paseo Art Walk. Stop by the gallery’s spectacular 12,000-square-foot space on the corner of El Paseo and Lupine Lane — the gallery is open seven days a week. 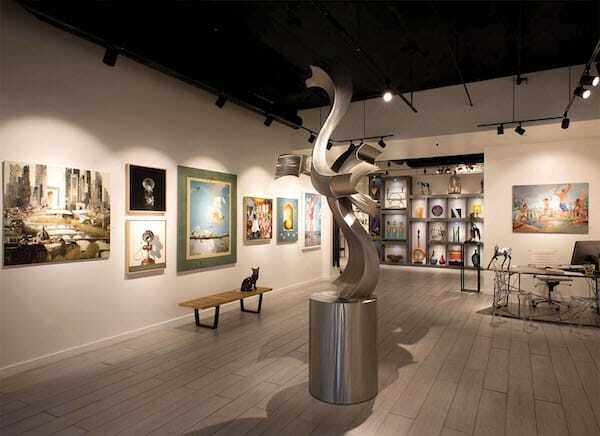 CODA Gallery offers contemporary art. I love cruising South Palm Desert to spot unique architecture and brightly colored front doors. My regular mani-pedi, walking my dogs, the occasional spa visit to Agua Serena at the Hyatt Regency Indian Wells. Positive affirmations daily. Which product is best for the desert climate? Our Palm Springs lotion! It’s very hydrating and the scent is inspired by the local citrus and floral notes. Favorite hangouts in the area? Luscious Lorraine’s in Palm Desert. Organic and delicious food made with the best quality ingredients. I love the Activated Charcoal Coconut drink. 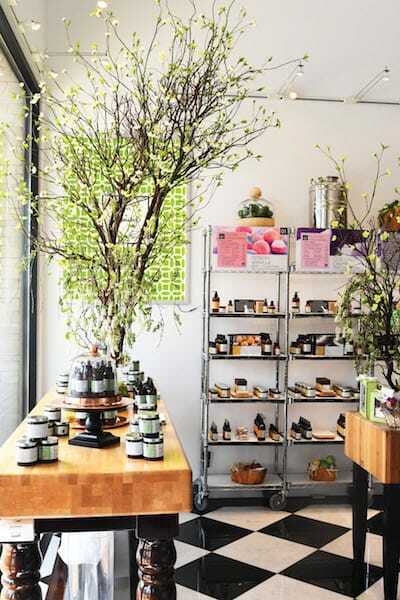 end cosmetic “kitchen,” and a fine-tuned process of small-batch product creation with organic, raw ingredients. the owner’s faves: Liquid Vitamin Hydra-Mist. Owner and jewelry designer Ryan Ryan has a sharp eye for updating sentimental jewelry and modernizing outdated bling so clients are actually excited to wear it. His custom collabs produce new bejeweled works of art that retain (or reinvent) their significance. The glittering jewelry cases also feature and array of hot, up-and-coming designers. Trina Turk ensembles embody the bright desert vibe. The Palm Desert boutique (pictured below) started as a pop-up shop — and never closed down. Artfully curated and organized playfully by color, with stacks of hat boxes lining one wall, The Fine Art of Design has earned rave reviews from the likes of Vogue and InStyle for its selection of designer finery — from Alexander McQueen dresses to ’90s Chanel coats. It’s no wonder the shop is a regular pit stop for stylish L.A. socialites. Whether you’re looking to catch a flick, freshen up your wardrobe, do some last-minute gift shopping, or grab a quick bite for lunch, Westfield has you covered. Take some time to explore the parking lot (really!). More than 40 artists have scrawled up the mall’s exterior as part of a public arts project — much is atop the Macy’s parking structure. 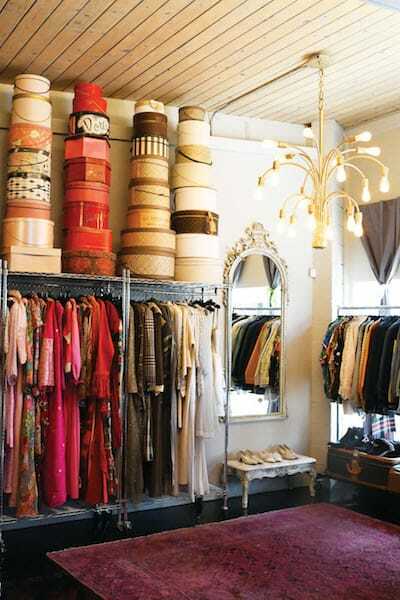 Yvonne Dougher’s designer consignment boutique began with 250 choice pieces from her own closet. “I had no background in opening a store,” she confesses, “but I had a background in shopping.” No middle-of-the-road names here (sorry, Tory Burch). The store turns down more clothing, handbags, and shoes than it accepts to keep clients impressed and racks full of upper-echelon labels including Gucci, Fendi, Valentino, Chloé, and Louis Vuitton. They even make house calls to browse estates and score select vintage rarities.